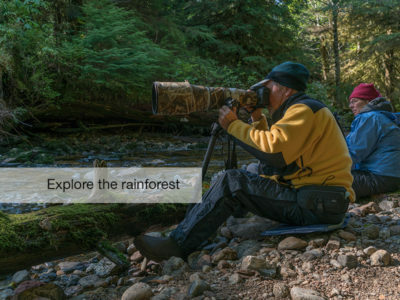 The Great Bear Rainforest is the largest intact temperate rainforest on Earth, where the ocean, mountains and ancient forests come together to create unique landscapes teeming with wildlife, from Whales to Wolves and Bald Eagles to Bears – it is here that you will be searching for the Spirit Bears. 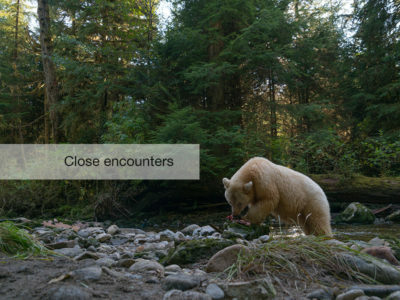 With an estimated 200 – 400 Spirit Bears in existence, these extremely rare white bears are restricted to a few small, mossy, rainforest-covered islands in British Columbia. Using zodiacs, you will spend six days exploring the small river channels to secluded locations, known only by the local guides, where you have the best chance to see and photograph Spirit Bears. Keep your eyes peeled throughout the safari, because the forest is so rich in wildlife that you are sure to see and photograph several other species as you go. 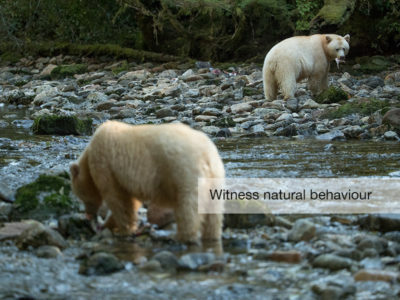 Wildlife highlights on this safari include Spirit Bears and Black Bears, as well as Grizzly Bears, Wolves, Wolverines, Bald Eagles, Humpback Whales, Orcas and Sea Lions, amongst others. 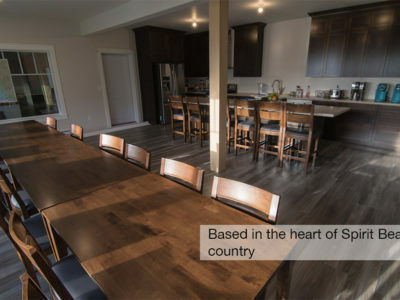 When you are not out searching for bears, you can relax in the warm rustic comforts of your lodge which is perfectly set in Hartley Bay, giving you the ideal base to explore the Great Bear Rainforest. 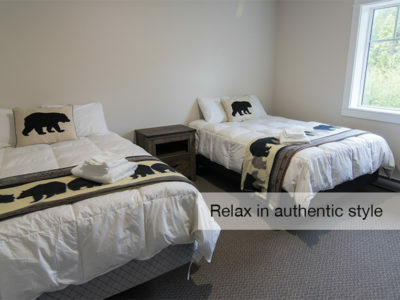 Owned and operated by a local Gitga’at guide, this Inn has been designed specifically for guests who have come to see and photograph Spirit Bears. 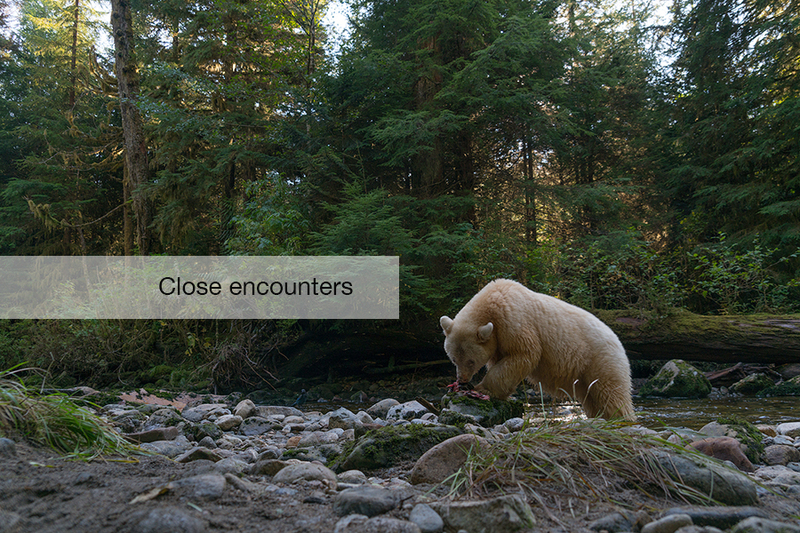 The Great Bear Rainforest is rich in biodiversity, and has a character all of its own, providing a wonderfully holistic safari! 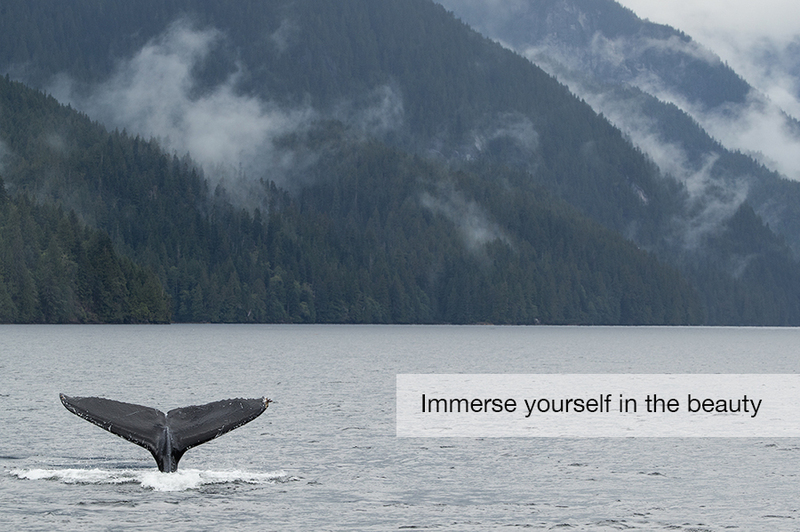 The misty mountains, whale-filled oceans and close encounters with one of the world’s rarest animals will certainly leave you in awe. Contact our safari specialists to help you plan your dream safari! 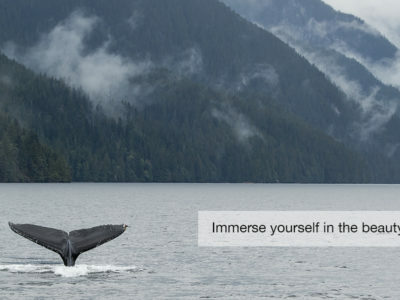 You will begin your adventure in the quaint town of Prince Rupert where you will reside at the warm and stylish Crest Hotel overlooking the harbour. 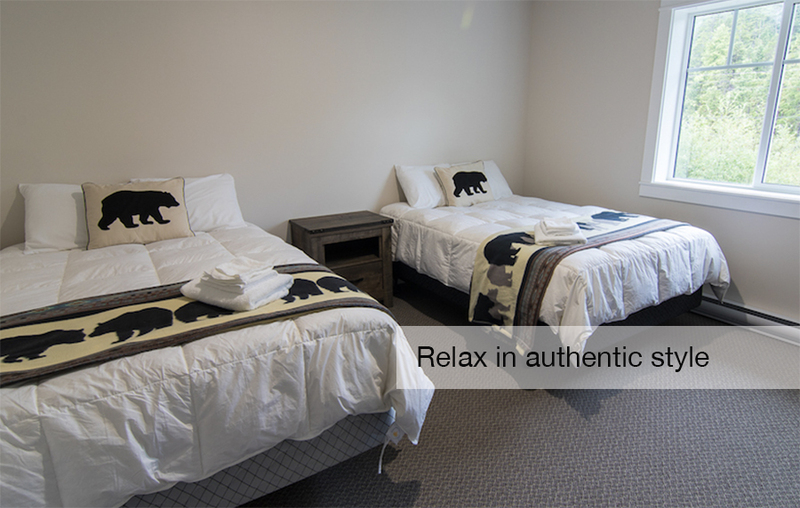 Settle in and relax for the afternoon in the comfort of your traditionally designed guest rooms, and enjoy the award-winning fine cuisine of the hotel’s Waterfront Restaurant with panoramic views of Prince Rupert’s magnificent harbour and pristine mountains beyond. Alternatively, head out and explore this small bustling port city and dine at one of the local restaurants in town. Catching the morning water taxi to the remote First Nation Village of Hartley Bay, you will be met by a local guide and escorted to the lodge where you will be based for the duration of the safari. Enjoy a hearty lunch at the lodge before heading out on your first safari excursion into this wonderful piece of the world. Following breakfast at the lodge, you will head out early each morning on small zodiacs to explore the water channels and rainforests in search of Spirit Bears and other wildlife. 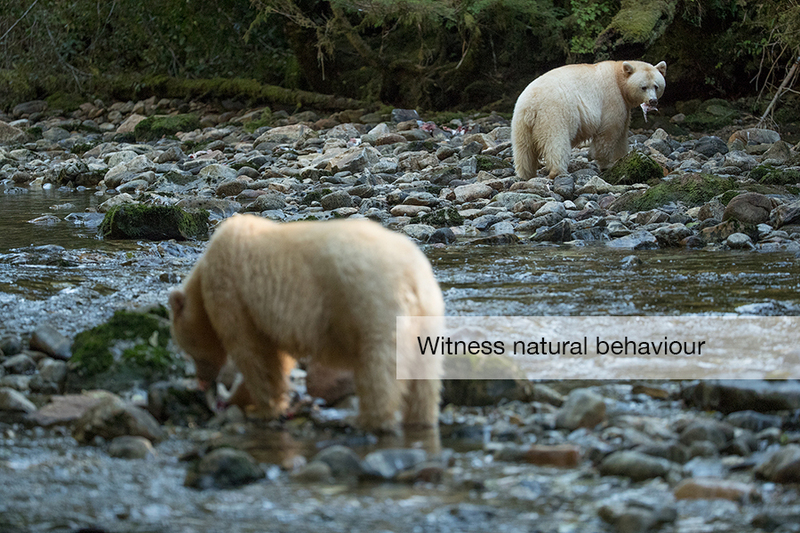 This safari also involves a small amount of trekking through the rainforests for short stretches of approximately 30mins at a time, giving you an intimate perspective of The Great Bear Rainforest. In addition to the Spirit Bears, there is also a good population of Black Bears in the area, as well as Grizzly Bears, Wolves, Wolverines, Bald Eagles, Humpback Whales, Orcas and Sea Lions, amongst others. Lunch will be served out in the forest to maximise the wildlife watching time. At the end of each day’s safari you will return to the warm rustic comforts of your lodge before dark, in time for a warm dinner amid a lively conversation of the daily sightings. 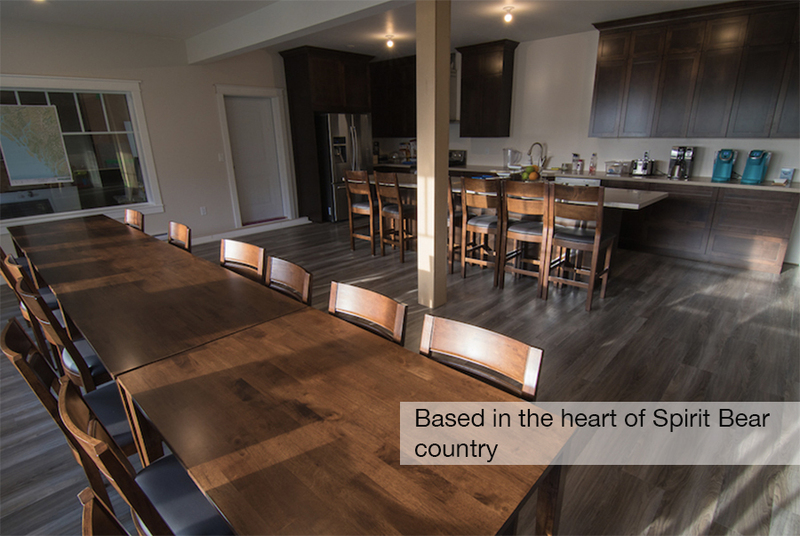 On your final morning in Hartley Bay, you can enjoy a relaxed breakfast and possibly a short hike to a nearby lake before heading back to Prince Rupert on the Water Taxi, in time for your onward travels. Please note: the above day-by-day itinerary is only a guideline. As the daily itinerary is weather-dependent and sightings-dependent, it could vary slightly. Make sure you have protected your camera equipment against the rain! 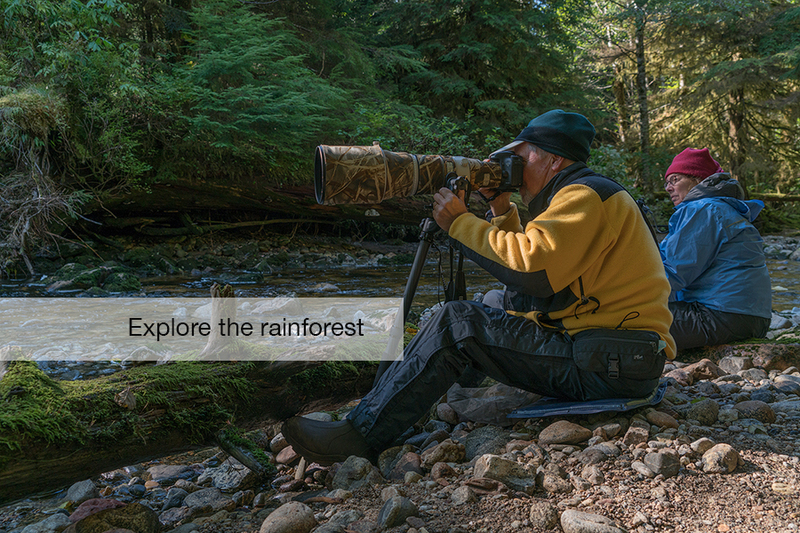 This safari involves short walks through the rainforest; if you think you will struggle let us know.